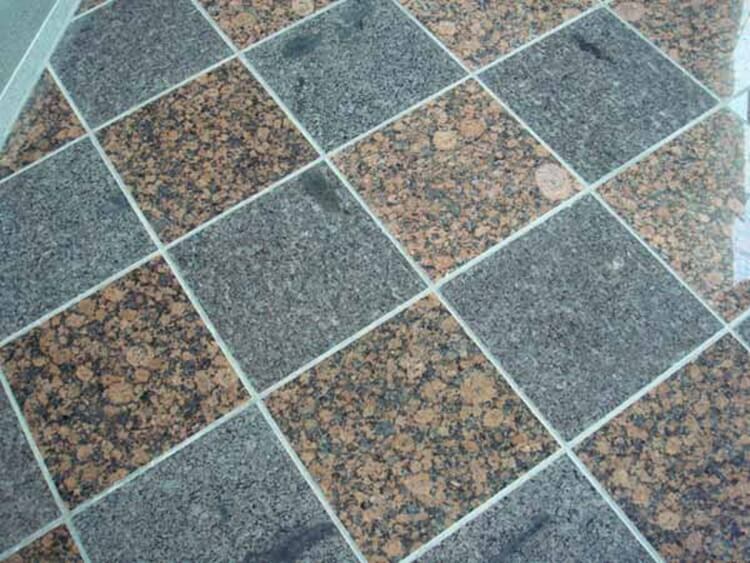 Some types of granite tiles and marble tiles may distort during general storage and dry process. Stock should be put under covered shelter and tightly packed. 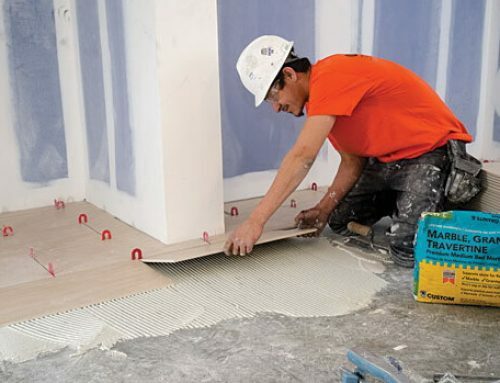 Slabs under polishing must not be laid with any kind of pad underneath. Modification of design with panels of smaller size but increased thickness. Stone waste collected during the course of fabrication may be as much as 30% or above. 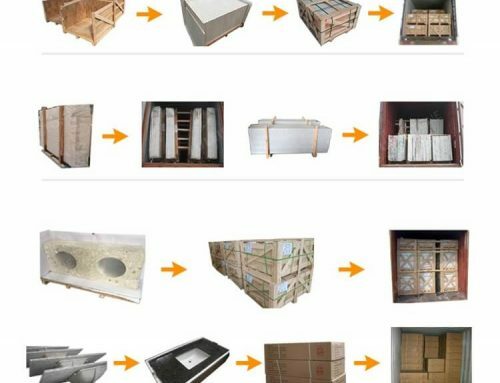 Therefore stone wastage disposal or re-cycle use is of great concern nowadays. Excessive noise and dust generated during stone fabrication are considered harmful to workers’health. 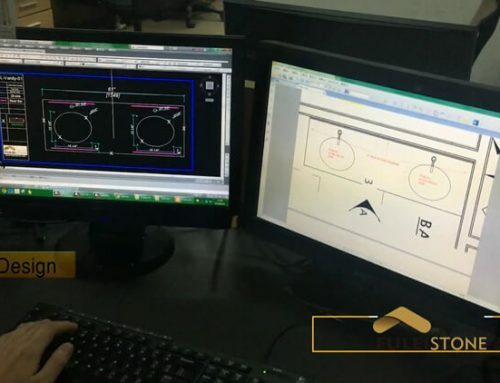 Precautious measures should be implemented, such as improvement of fabrication procedures and equipment, adopting wet polishing method instead of dry polishing, as well as the provision of adequate safety tools and equipment to workers. The natural stone source is limited. We should ensure effective fabrication of stone materials through well planning and improvement of quarrying method at an early stage. 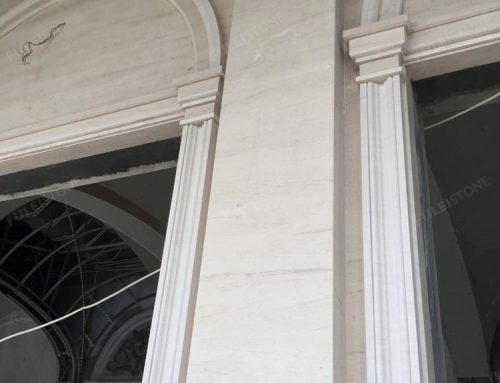 Although the minor portion of stone cutting and waste materials can be pre-fabricated as products of pattern works, mosaic and pavers, etc., most of the waste materials are still disposed of and thus need to be concerned for re-cycle use in a more extensive sense. 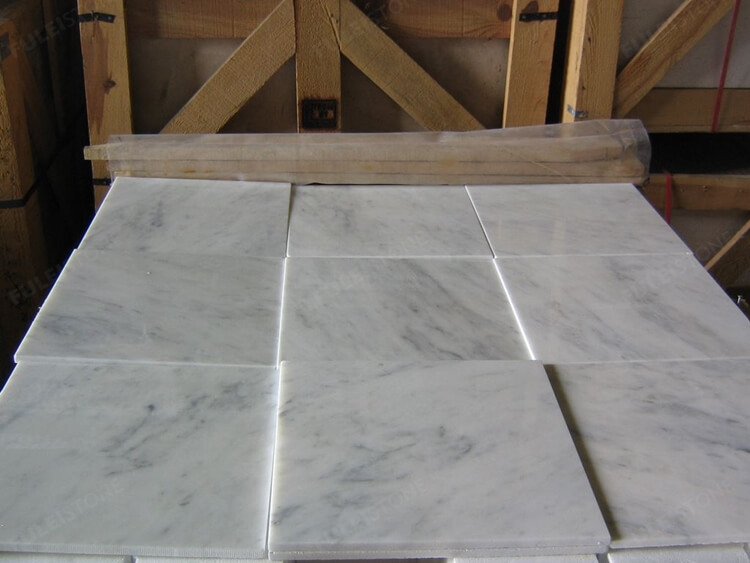 For example, the Guangxi white marble tiles is limited to 1,82000 square meters per year. It has natural defects generally. Stone gluing is a common remedy adopted by the fabrication factory to maximize the use of stone and to re-achieve its quality, However, it is also a common knowledge that the application of stone gluing may give rise to some imperfect effects as of stone color, weather resistance properties, especially in the case of sandstone and white color stone under current technology. 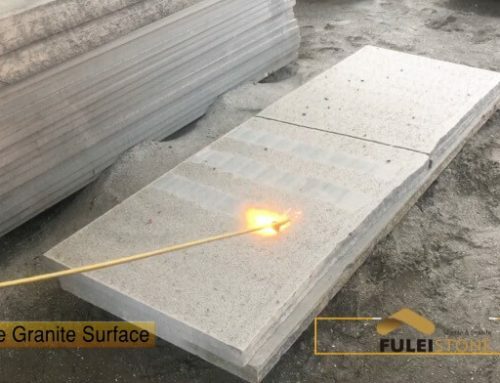 Fulei Stone has many year experiences for marble and granite tile production.